Bring your vehicle to Veldman's Motoring Servicenter. From auto repairs to vehicle maintenance, our shop provides services for all import and domestic vehicles—we specialize in Porsche™, Mercedes™, BMW™ and all domestic and Japanese vehicles. Our shop also sells performance accessories and aftermarket parts for European and domestic cars and trucks, including wheels and tires. 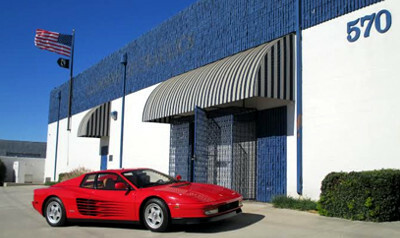 Visit our auto repair shop in Rialto, California, for auto repairs, vehicle maintenance, and automotive accessories. Veldman's Motoring Servicenter provides you with a manufacturer service schedule—it’s attached to your invoice. We use genuine manufacturer parts and quality oils and lubricants by Penzoil™. A 1-year warranty is available on all automotive part replacements, as well as a 90-day labor guarantee. For more information about our warranties, contact us. Please call our auto repair shop for a repair appointment. Call our auto repair shop today. Veldman's Motoring Servicenter. All rights reserved.